If you're looking for information about the Mexican scientist Oscar Toledo Esteva, then please go to the History page of the Familia Toledo organization site. I've made a port of Akalabeth from AppleSoft BASIC to GW-Basic, also known as Ultima 0. Huachicol 3 is a game for PC/Mac made in 24 hours inspired by the Global Game Jam 2019. Video of Huachicol 3. Released final ROM of Borzork for TI-99/4A with voice. IntyBASIC v1.4.0 has been released, a great tool for programming Intellivision games now with many new features. Most prominently: detection of control flow errors, local labels, simplified name mangling for assembler, 8-channels tracker, ECS detection and compatibility with Tutorvision consoles. Sydney Hunter and the Caverns of Death development has been completed, you can see a video of Caverns of Death in action. 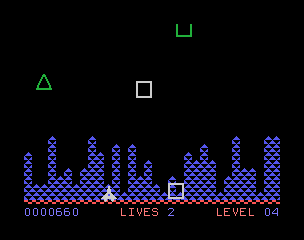 I've finished developing Steamroller for Intellivision, with authorization from the legend himself David Rolfe! It will be published before end of year by Elektronite. My game Borzork is now available in TI-99/4A cartridge from arcadeshopper.com. Title preview and gameplay of Sydney Hunter and the Caverns of Death for Colecovision. An impressive demo of Aardvark for Atari 2600 has been released. Check it by yourself ;) Also watch the demo review by ZeroPageHomebrew. My game Pumpkin Master is now available as Intellivision cartridge (visit http://timduarte.blogspot.com/2018/), along with box and overlays sold separately at Atariage (only 4 sets available at time of writing). Homebrew Legends made me an interview. My new game developed for Halloween 2018 is Pumpkin Master for Intellivision. You can download it from Atariage. Borzork for TI-99/4A is now completed. Here is a video of Borzork in action, soon to be available from ArcadeShopper.com. Gray Defender made hands-on review of my book Programming Games for Intellivision, installing the compiler and introducing two examples. Good Deal Games now has books of Programming Games for Intellivision. Announced the winners of the IntyBASIC 2018 Programming Contest. At last Miner 2049er for Intellivision is now available for sale at Naberhood.com. Get your copy now! I was authorized by Team Pixelboy to port Module Man and Quest for the Golden Chalice to the MSX platform (originally in Colecovision by Mystery Man), and these are now available from Matra. The No Swear Gamer made a review of my book Programming Games for Intellivision. The No Swear Gamer made a review of Hover Bovver for Intellivision also was choosen as gold game of the month! Gray Defender made a review of Meteors for Intellivision. My game Meteors for Intellivision is now available as a digital download at my store. My new book Programming Games for Intellivision is now available in paperback and hardcover, and also in my store as ebook. I'm going to give a talk about game development for Intellivision at the annex of the Engineering Faculty of the UNAM on Aug 31, 12pm, also I'll have a stand on Aug 30 and 31, 11am-5pm. Free admission. I'm going to give a conference about game development for Intellivision at the Engineering Faculty of the UNAM in Aug/31/2018 12pm, hosted by SODVI. Free admission. My new game Meteors for Intellivision is now shipping! I've developed Hover Bovver for Intellivision, the classic game by Jeff Minter is now available in CIB form from Naber Hood Games. Now you can buy the ROM for Mecha-9 from my online store. The IntyBASIC 2018 Programming Contest is closing in Aug/01/2018 00:00 UTC, 5 amazing entries so far! My tool pretty6502 now can beautify also Z80 assembler code with tniASM directives, CP1610 assembler code with as1600 directives and TMS9900 assembler code with xas99 directives. Made a port of Cannonball to TI-99/4A BASIC for the Retrobattlestations challenge. I've released some "trash" from my archives just because it's interesting, my 6502 to IntyBASIC converter. Borzork is my 2nd entry for the 4K Short'n'Sweet Game Contest and it won 2nd place in the contest, Astro Cube got 5th place of 9 places. Both places voted by community. These games are playable online in a page of the Italian TI99 user's group. Ultimate Soccer Gold is my April Fools' Day joke about an incredible soccer game for Intellivision that... is nothing about playing soccer XD, check the video. My TI-99/4A programming samples now are able to generate RPK files executable with MAME/MESS. The sphere was required for my new game Meteor Storm, an Intellivision pseudo-3D space game with meteors and aliens, to be included in the compilation of games IntyBASIC Showcase Vol.2 to be published by Intellivision Revolution. Astro Cube is a game I've wrote for the TI-99/4A computer, just for learning the TMS9900 Assembler Code and of course for the 4K Short'n'Sweet Game Contest being run at Atariage. I'm still working in Aardvark for Atari VCS/2600, in this video I show the stable integration of the core game with the new display kernel contributed by Thomas Jentzsch, besides a new title screen and several new features. My utiliy PSG2BAS converts sound logs from my CoolCV emulator into data that can be played with IntyBASIC. I've ported a mini-RPG/Rogue-like to Intellivision, Grail of the Gods, you can follow its progress from text-only to graphics+music+sound. Includes source code. I've been interviewed by Mario Carballo @afk_mcz for the podcast Detras del Pixel episode 13: nanochess (Spanish audio).